CAPE CANAVERAL, Fla. — In November 2016, the GOES-R spacecraft, part of the Geostationary Operational Environmental Satellite (GOES) system, was launched. It was the first in a new class of weather monitoring satellites built for the National Oceanic and Atmospheric Administration (NOAA). After transitioning to a geostationary orbit, it gained a new name – GOES-16. 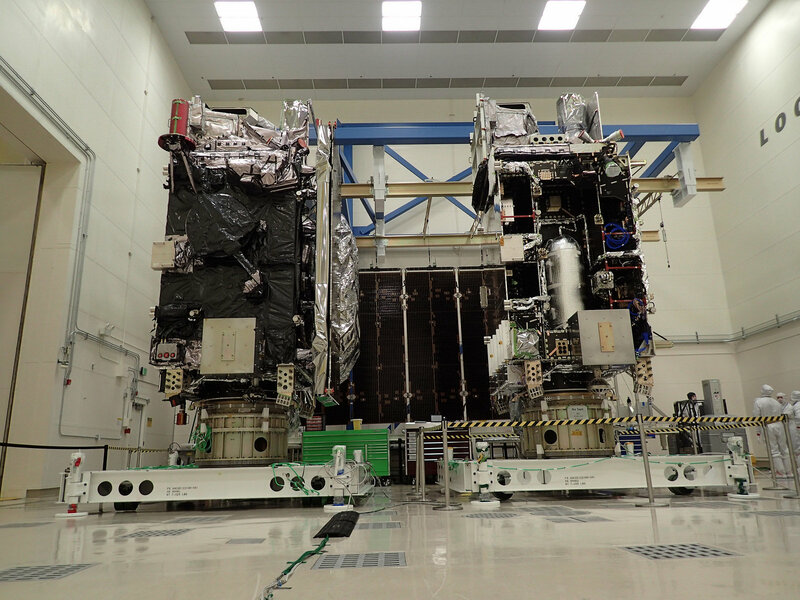 Now two of the follow-up spacecraft, GOES-S and GOES-T, are on track to be completed and launched as scheduled. Next in the series, GOES-S is undergoing final testing to confirm functionality. These evaluations are designed to confirm the spacecraft can withstand the rigors of launch and operation, including mechanical stresses and the thermal extremes of space. Additional electromagnetic testing will be performed to ensure the electronics on the spacecraft will not interfere with its operation. Testing for GOES-S will continue through Fall 2017, after which it will be sent to Kennedy Space Center for final launch preparations. That shipment is scheduled to occur in December. 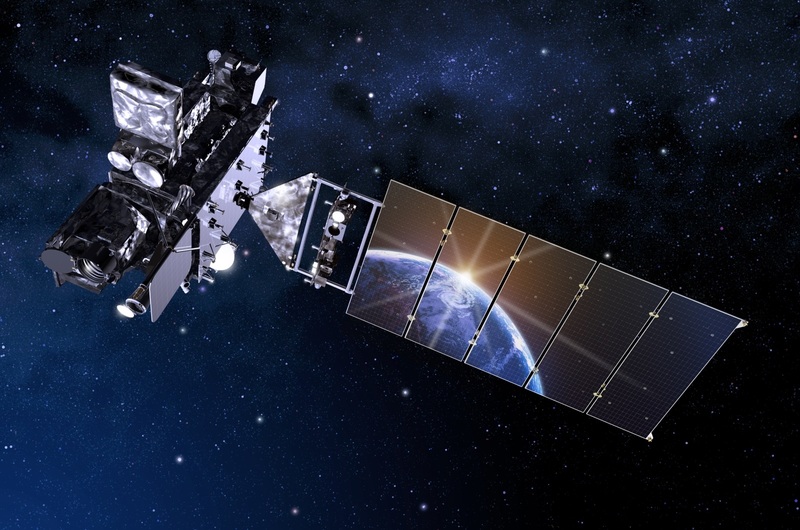 The GOES-R series of satellites is a collaborative effort between NOAA and NASA. The spacecraft are designed to monitor Earth’s oceans, land, and atmosphere providing weather forecasting, storm tracking, and climate information. Additionally, the satellites are used for space weather modeling and meteorological research. “GOES-S is now in its final test phase preparing it to join GOES-16 in space, giving the nation two next-generation geostationary weather satellites to watch over the Western Hemisphere,” said acting GOES-R Series System Program Director Mike Stringer at the GOES-R Series Program Office located at NASA’s Goddard Space Flight Center in Greenbelt, Maryland. Designed for a 10-year operational life, the Lockheed Martin-manufactured GOES-R spacecraft are built on the A2100 satellite bus, a three-axis stabilized platform. Fully fueled, the vehicles each have a mass of 11,446 pounds (5,192 kilograms) at liftoff. Instrumentation on the GOES-R series includes Earth facing and solar facing electronics packages. In total, the series will have 34 meteorological, solar, and space weather equipment packages. GOES-T is also well into production. Five of its on board instrument packages have been delivered to Lockheed Martin’s facility in Littleton, Colorado. The majority of the avionics have been installed as well as the Solar Ultraviolet Imager (SUVI) and the Extreme Ultraviolet and X-ray Irradiance Sensors (EXIS). Integration tests for these components are underway. 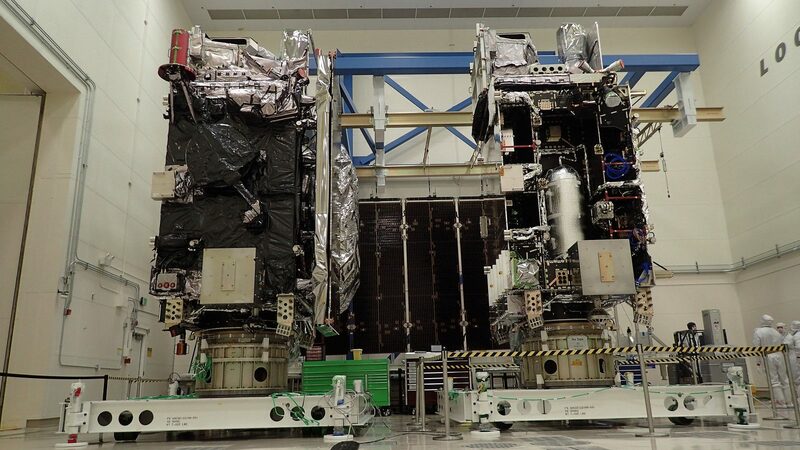 Additionally, the propulsion module was delivered in July and the two spacecraft halves are scheduled to be mated together sometime in September. This entire series of satellites boosts the capacity of weather monitoring due to the incredible advancement of environmental sensors. The spacecraft have four times the viewing resolution of previous GOES satellites. They can also scan the Earth five times faster and boast triple the number of channels for more accurate and reliable forecasts. Additionally, the GOES-R series will monitor solar and space weather activities. GOES-S is currently scheduled for launch in spring 2018, while GOES-T is planned for launch sometime in 2020. They will be designated GOES-17 and GOES-18 once they reach orbit.